It really is a contradictory world, isn’t it? On one hand we’re encouraged to accept our bodies, on the other we’re pressured to be bikini ready. Gahh! What really matters though, at least in our book, is being healthy. Thankfully our buddies at Bodyworks Subiaco, your one-stop health and wellness destination, are here to help! So move over Kayla Itsines and the five and two diet, here’s how to get the healthiest body you could ever imagine. Firstly, you’re going to want to get your affairs in order. For most of us, our bodies start to take a turn for the worse when we enter full time employment. If all those hours spent slumped over your keyboard are slowly making you resemble the Hunchback of Notre Dame, then your body is probably in need of some fine tuning. 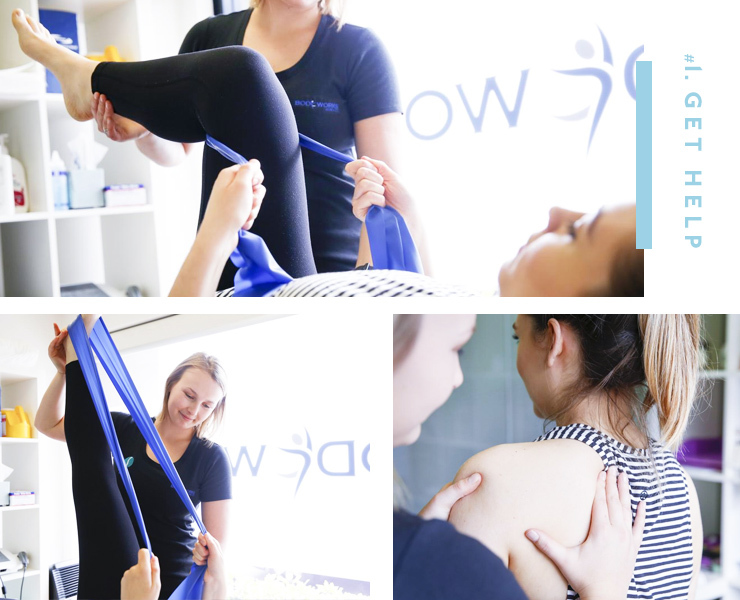 Book an appointment with one of Bodyworks Subiaco’s clued-up physios to find out which areas of your body need a little TLC before you launch into your new health and wellness regime. Health and fitness go hand in hand, so to be performing at your best you need to get moving. Thankfully Pilates happens to be one of the best ways to get your body on a one-way track to health, and Bodyworks offer the whole gamut. They’ve got your regular matwork classes, a great range of reformer classes, ZEN-GA, CORE functional fitness classes, as well as barre—using all of the latest and greatest equipment and following the five basic principles of STOTT Pilates. If your body is a little fragile, not to worry, their extremely patient physios will get you on the right track in their rehabilitation classes. You can do all of the physical exercise you want, but if you’re not backing it up with a healthy diet you’re doing yourself a disservice. But this doesn’t mean crazy, calorie restricting crash diets. 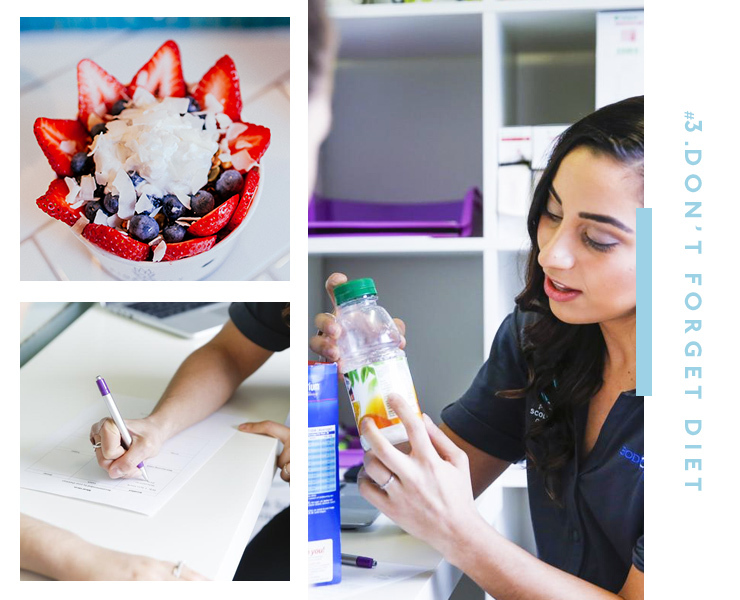 Bodyworks’ resident dietician, Liana, stresses the importance of knowing your serving sizes and how much of each food group you need to be eating to ensure your body’s getting the nutrition it needs. And that includes your weekly chocolate treat. In the fast-paced world we live in it’s imperative we take time out to recharge our batteries. Our bodies need time to rest and recover, especially if they’ve been working hard in Pilates, and one of the best ways to do this is with massage. Not only do massages de-stress us and reduce tension, they also help with digestion, circulation, muscle tone and even cellulite. Head to Bodyworks for one of the best massages in Perth (they've even got electric blankets)—and bonus, you can claim it if you've got private health cover. So do away with your unkind bikini body goals and get ready to create your healthiest body yet! For more information about Bodyworks Subiaco or to book an appointment, click here. Editor's note: This article is proudly sponsored by Bodyworks Subiaco and endorsed by The Urban List. Thank you for supporting the sponsors who make The Urban List possible. Click here for more information on our editorial policy.